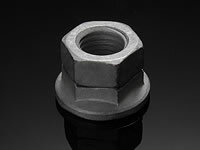 Wind Turbine Fasteners | Wind Turbine Washers | Vibration Proof Locking Nut - Bolt Products Inc.
Wind turbine fasteners are required for assembly, transportation, construction and maintenance of wind turbines. The wind industry has high demand of specialty wind turbine washers & fasteners. The distinctive three-blade wind turbine can requires approximately 25,000 fasteners & washers. We design a solution starting with the exact documentation required. The wind turbine assemblies require specialty, custom engineered fasteners for high stress applications and intense vibration that exist during operation. By utilizing these vibration proof locking nuts you can be confident that things will remain secure.